ANN ARBOR – MITechNews will be rolling out a streaming Internet video service later this summer we’re calling MITechNews.TV. It will feature live interviews with newsmakers around the state and country on tech topics and news for entrepreneurs. When the live portion of the show is over, the interviews will be available on demand from MITechNews.Com as well as offered up on all the major social media platforms. More details will be available shortly. 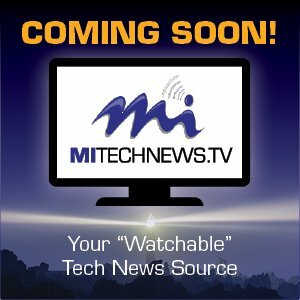 “We’re excited to expand our news coverage to live video interviews, and even streaming live events that we think our Michigan technology and business audience need to see,” said MITechNews.Com Editor & Publisher Mike Brennan.